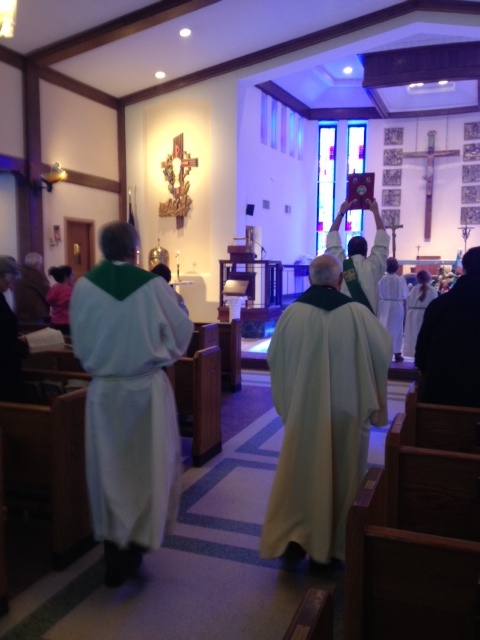 Susan Hines of Breezy Point has shared these images from the 12 o’clock mass yesterday at St. Thomas More. 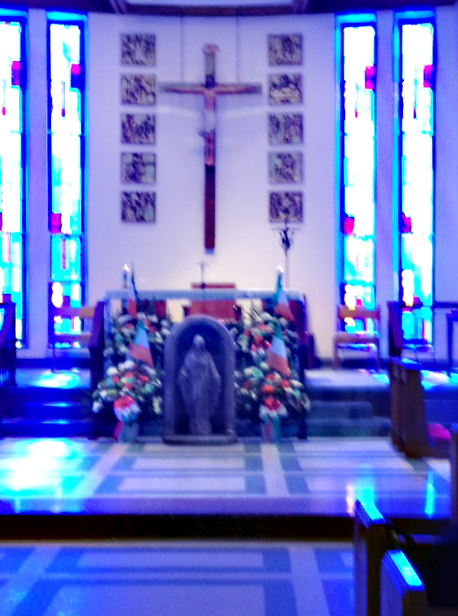 The statue that has come to be known as “Our Lady of Breezy Point” or “The Breezy Point Madonna” seems to have found a new home on the altar! This is the same Mary statue that was found, whole and intact in the wedge area after the fire. This entry was tagged A train, art, Beach, Breezy Point, Hurricane Sandy, Ireland, New York City, photography, Queens, Recreation, Rockaway, Rockaway Beach, Rockaway Forever, Rockaway Queens, St. Thomas Moore, Summer, The Sugar Bowl, travel. Bookmark the permalink.